In this post I'm going to come forward in time, but travel backwards down Route 128; or forwards depending on whether you came from Interstate 70 or not. Confused? 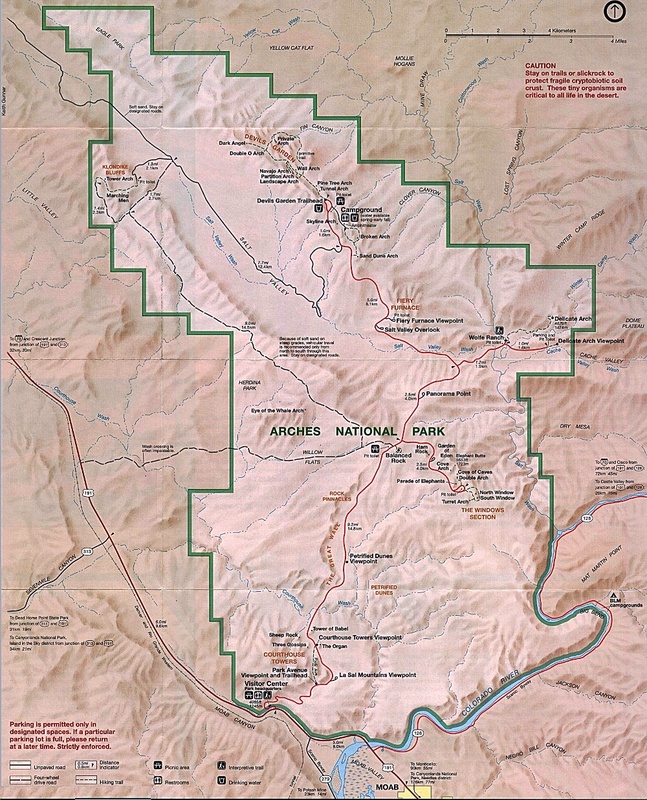 Depending on which internet mapping system you use, or paper maps, getting to Moab from Interstate 70 can be done in two ways. 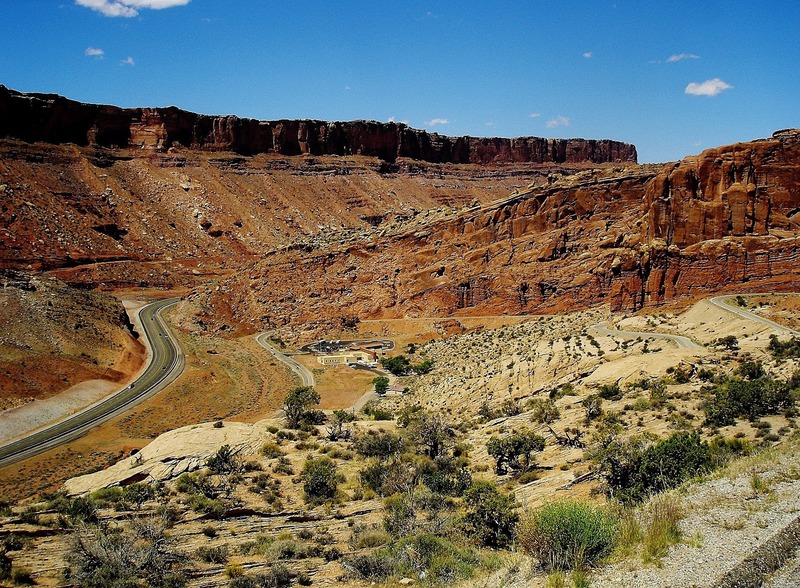 First there is the all highway quick way: Interstate 70 to the Crescent Junction (Route 191) exit straight down into Moab; the closer you get to Moab, the more scenic the landscape. 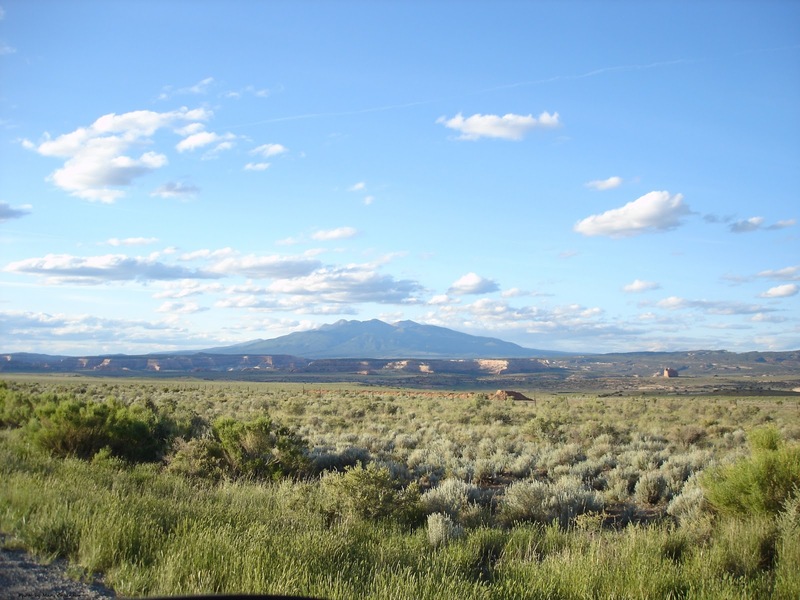 The second way is to take Interstate 70 to the Cisco (Route 128) exit which will weave you along the Colorado River, through Castle Valley, past La Sal Loop Road and eventually to Route 191 and Moab itself. Roy and I have done both, and the second way is the one we tell new visitors to the area; it is not only more scenic, it will totally blow your mind! When we first traveled the route from the Cisco exit, we came upon the sign that lead to Fisher Towers (about 25 miles from Route 191 and Moab). 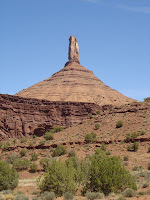 Unfortunately our car could not traverse the ungraded rock and dirt road, so while we saw the Towers from a distance, we could not see The Corkscrew formation. However that has changed; Grand County has been working on the roads to make them more accessible to all types of vehicles, not just 4 wheel drive. The landscape is not being ruined with concrete and paved roads, but with highly graded dirt roads that, while bumpy if in a car, still give more visitors access to sites. 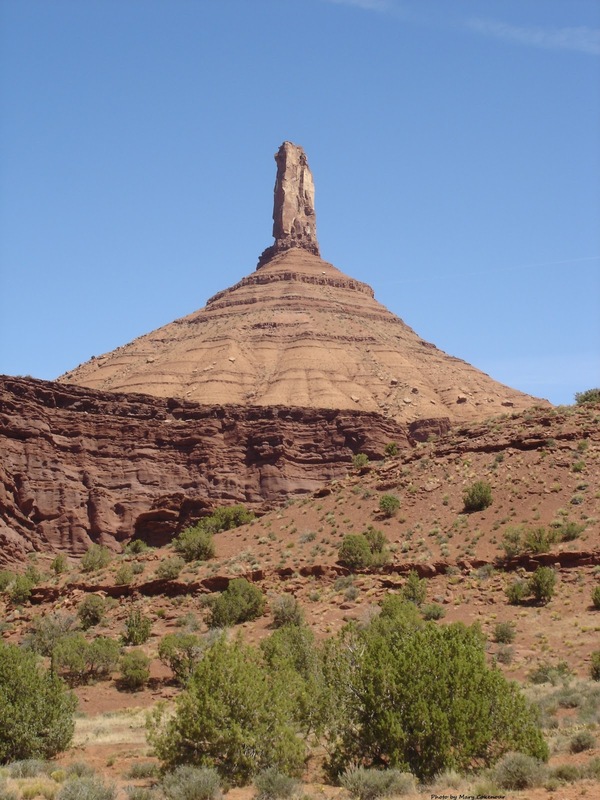 As I mentioned, Fisher Towers is about 25 miles from Route 191 in Moab; Cutler and Moenkopi sandstone, caked in our ever present red mud. It almost feels as if you are looking at the landscape of Mars. Climbers love these towers, and they've been featured in films (Austin Powers in Goldmember) and commercials. Coming in from the Cisco exit, the valley opens up to reveal the Towers, and your imagination immediately thinks "castle". Remember, we are in Castle Valley, and the formations are magical. From the Fisher Towers area, Castleton Tower and The Rectory can be seen six miles in the distance. After having a full day out along Route 128, traveling back towards Moab for a highly deserved good meal was number one on the mind. Getting home and sleeping as soundly as the stone formations we had experienced...priceless. 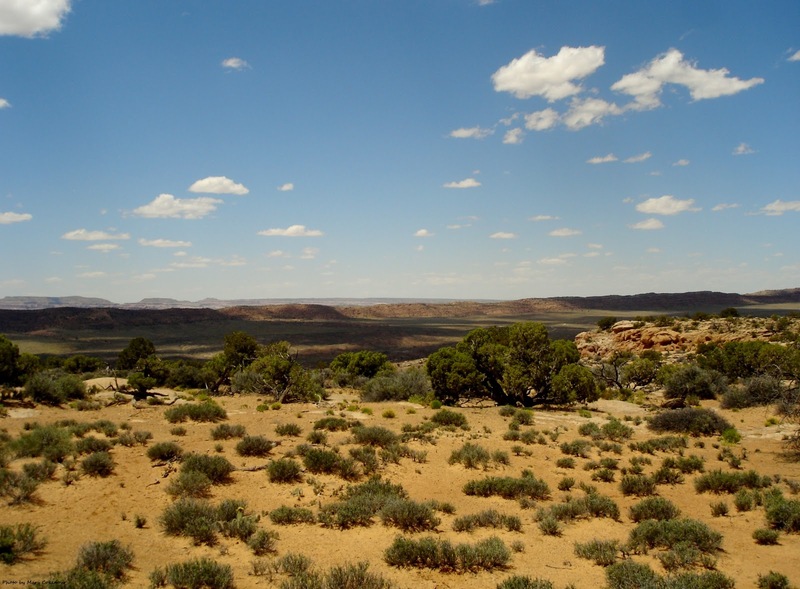 Even though my husband had lived in Moab a good deal of his young life; traveling around the surrounding areas was not on his to-do list. When he brought me to visit Utah in 2006, I told him to now look at it through my eyes; he surely got a whole new perspective on it. We only had one week to stay out here, so had to make the most of everyday. 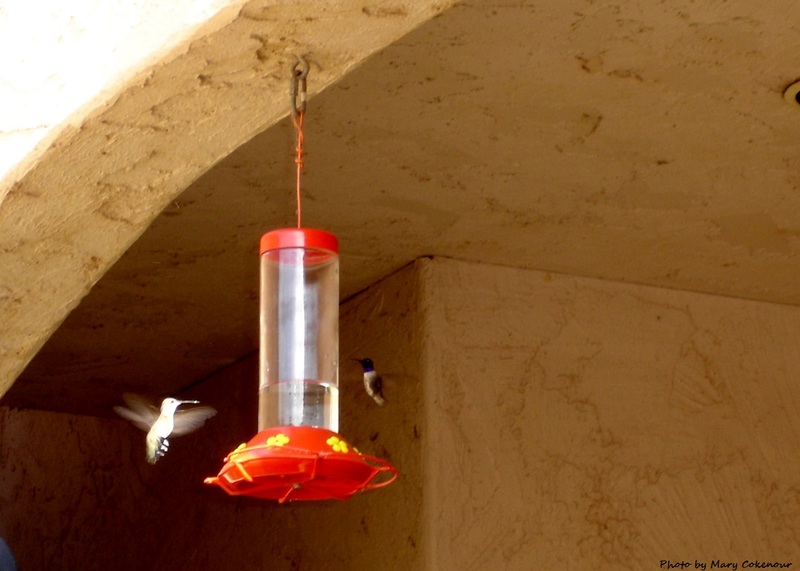 One of those days meant a trip down to New Mexico to visit one of his stepmothers (the plural is a story I'm not ever getting into). 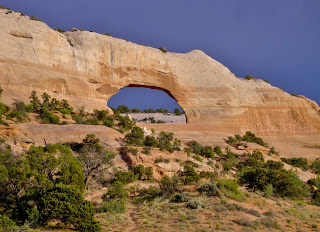 Anyway, as we traveled past the junction for La Sal, I noticed two signs: Looking Glass Road and Looking Glass Arch; curious, but we didn't have time to investigate. As we traveled further, we rounded this one bend when I yelled out, "Honey, look at the arch!" There was a pull in point on both sides of the road and I made him stop so I could take a photo. This is Wilson's Arch, named for pioneer Joe Wilson who had a cabin in Dry Valley. Dry Valley is also where Marie Ogden started her religious cult, Home of Truth, back in the 1930s. It's a ghost town now, but I'm saving all that for another post, with photos of course. 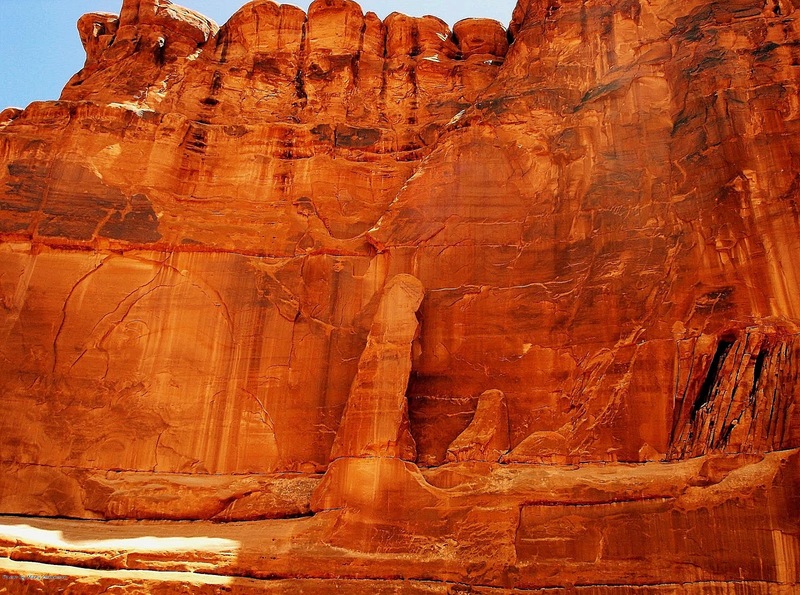 Wilson's Arch is located on Route 191, 24 miles South of Moab; and while there is no carved stairway to walk up to the top, hundreds of people climb up with no problem every year. 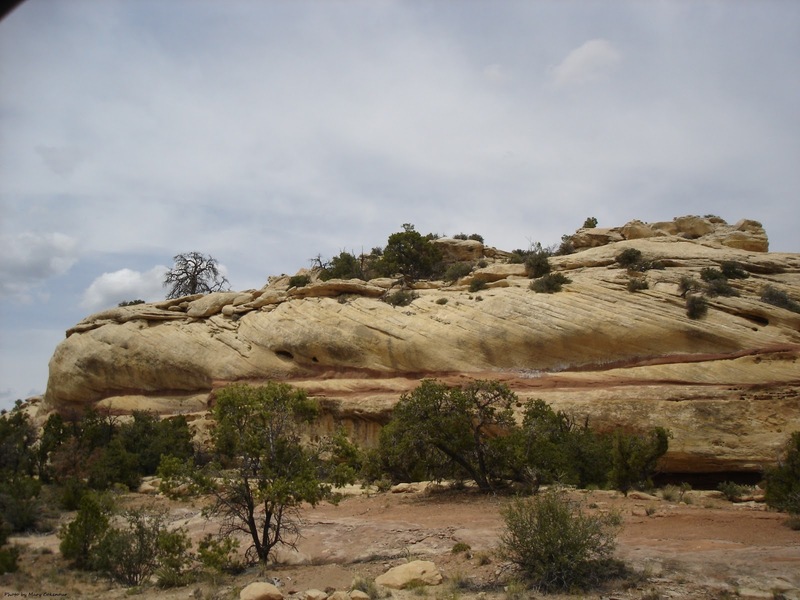 Next to and across from Wilson's Arch are some Adobe homes for rent or sale; on the southern side, about a mile past the arch, you'll see a gravel road that leads to an old paved road. That is Old Highway 191 which can still be traveled all the way behind some of those large formations you see on the current Route 191. It will eventually come out on Route 191, directly across from Steen Road which is an OHV road (another post for later on some time). 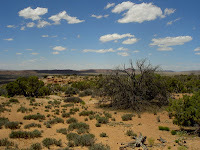 The old highway is rutted in many places and then becomes dirt as you head on further behind those sandstone formations; taking a car on this road is NOT a good idea, only 4 wheel drive. Back to Looking Glass Arch; it wasn't until 2010 that curiosity overcame us and we finally made that turn onto the graded gravel and dirt road. Cars will do alright, but it will be a very bumpy two mile ride to the site of the arch. This is also range land, so the cattle have right of way. 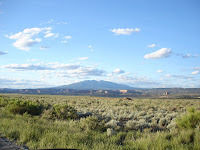 The climb up to the Arch is steep over sandstone and slickrock, but the view of the valley is breath taking. Be very careful while standing inside the arch, the backside is a sheer drop off. 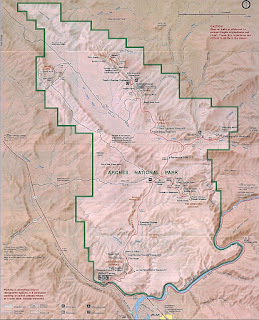 By the way, Looking Glass Road is also CR131 which will lead to CR 133 and the Needles Overlook; you can photograph The Needles, but you won't actually be inside Canyonlands National Park. 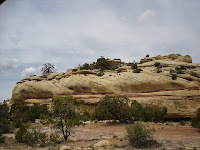 There are also some abandoned "homes" that were built inside some of the sandstone formations you will pass by. 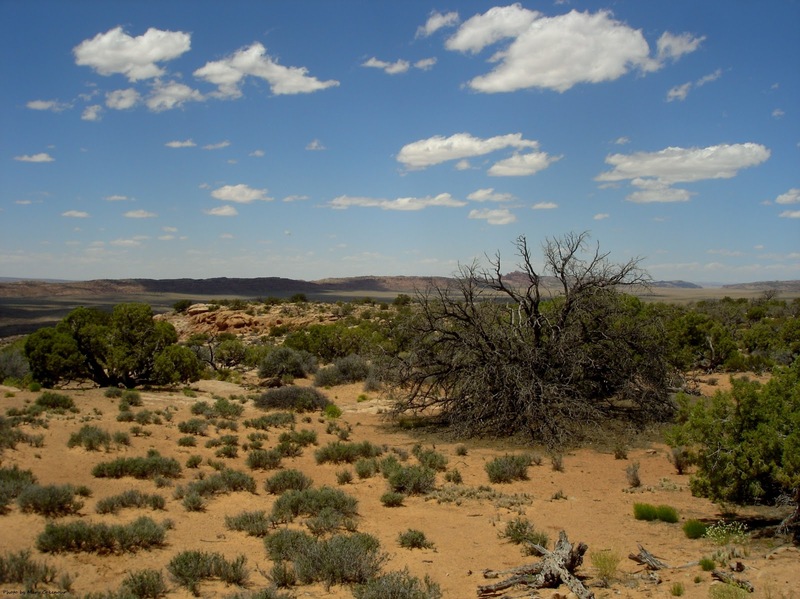 Rumor has it that a polygamist group lived, or still lives, out on that land; but no sign of them has been reported, only rumor. As with traveling anywhere, use common sense and caution; make sure your fuel tank is always full before going to a destination, and bring an extra five gallon tank along just to be on the safer side. DON'T FORGET WATER!!! for you and your vehicle. None of the National parks have gas station/convenience stores within them; you especially won't find one in the middle of no-man's land either. Remember I had mentioned there were two signs; the one for Looking Glass Arch has been removed. Not sure why, but the road, and the arch, are still accessible to visitors. Between traveling to and from both arches, climbing them and taking a detour road here or there; this is basically an entire day of enjoyment. Have fun; I know we had tons.